San Francisco is known around the world as an iconic, must-visit destination. Its steep hills, cable cars, and pastel Painted Ladies are instantly recognizable, as is, of course, the Golden Gate Bridge. But there’s more to this city than its icons. San Francisco has so many things to see and do, whether you’re visiting San Francisco for the first time or you’ve lived there all your life. My own personal list of the best things to do in San Francisco is already so long that it’s difficult to hit all items in a single visit. 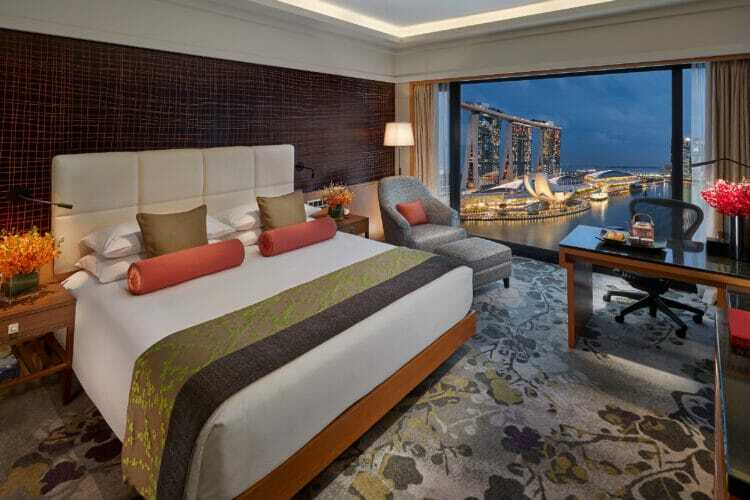 So relax, and don’t worry about trying to cram a lot into one long weekend or a single vacation. By all means, grab your camera and walk over the Golden Gate Bridge. Make sure you ride the cable cars at least once. From there, think about what else you want to get out of your visit(s). Need some inspiration? San Francisco has amazing museums for art lovers, historic theaters for the dramatic, the famous Mission-style burrito (and plenty more delights) for the foodies, and lots of spots perfect for people-watching (and sea lion watching, too). Outdoorsy types will love that the city’s dozens of hiking trails showcase the beauty of the natural landscape. There are more esoteric things to do, too, if that’s what you’re into — how about bathing in sound at the Audium®? The city may only be 7 square miles in size, but it’s huge when it comes to things to see and do. Check out my list of the best things to do in San Francisco below, then tell me about your favorite Fog City hangouts in the comments. Alcatraz (which has been named the #1 landmark in the U.S. in multiple years by TripAdvisor) is an incredible place to visit and should definitely be a part of any trip to San Francisco. There are bay cruises that circle around the island, as well as tours that actually take you into the infamous former prison that once housed notable criminals like Al “Scarface” Capone. What many people don’t know about Alcatraz is that it wasn’t always a prison. It has been the site of a lighthouse built to guide ships into the harbor, a harbor defense fort that housed 200 soldiers, and the San Francisco Arsenal for storage of firearms during the Civil War. 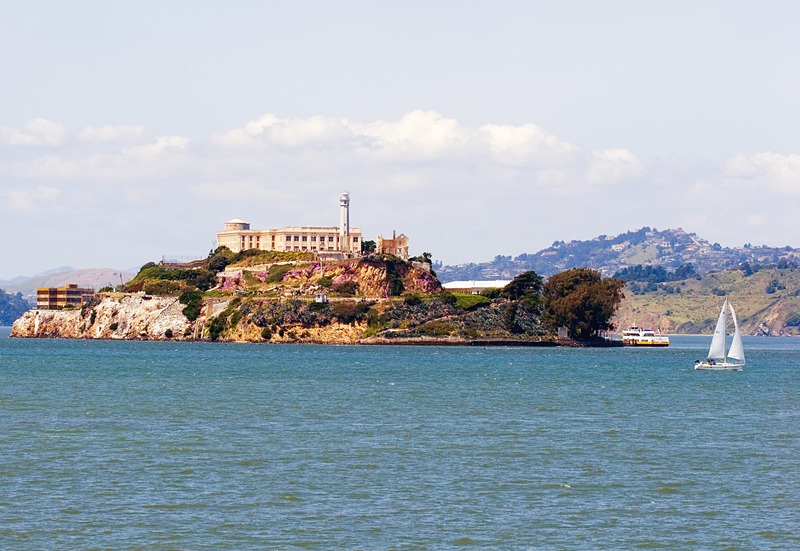 It was only a federal prison from 1934 until 1963, and just a year after it closed was the site of the American Indian occupation of Alcatraz — and important event in the American Indian rights movement. I would definitely recommend buying your tickets to Alcatraz in advance as part of a combination tour package like those offered by City Sightseeing (more below) because tickets tend to sell out. Getting last-minute Alcatraz tickets can be tough, and sightseeing companies have to submit their ticket requests four days before the tour date. Plan to buy your tickets at least a week before your visit, if not more. Visiting San Francisco with kids is wonderful and doesn’t have to cost a lot. 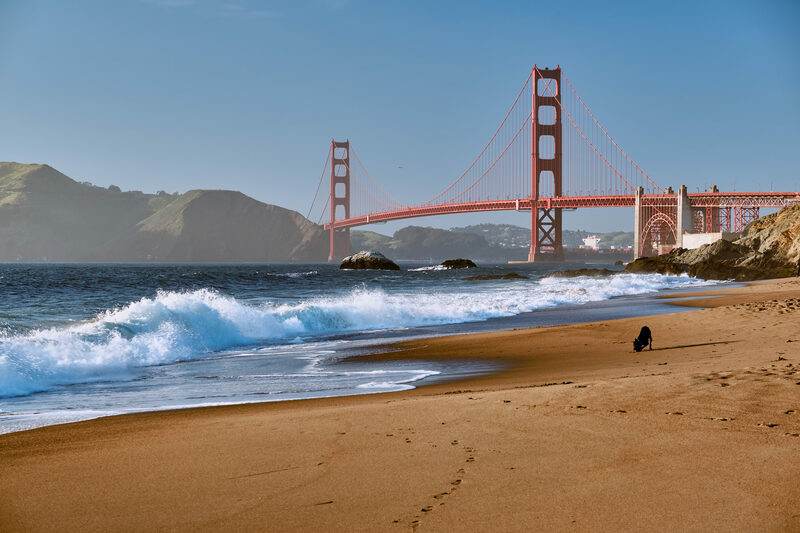 There are the beautiful beaches perfect for building (and demolishing) sand castles, the thousand acre Golden Gate Park to explore, and the Presidio with its awesome and innovative playgrounds. 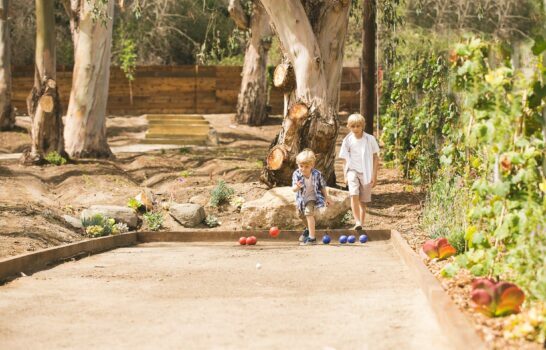 There are plenty of indoor activities for kids and families in San Francisco, too, and the best thing about traversing the city with kids is probably how easy it is to get around. Unlike other parts of California, most of the kid-friendly hotspots in San Francisco are near public transportation. 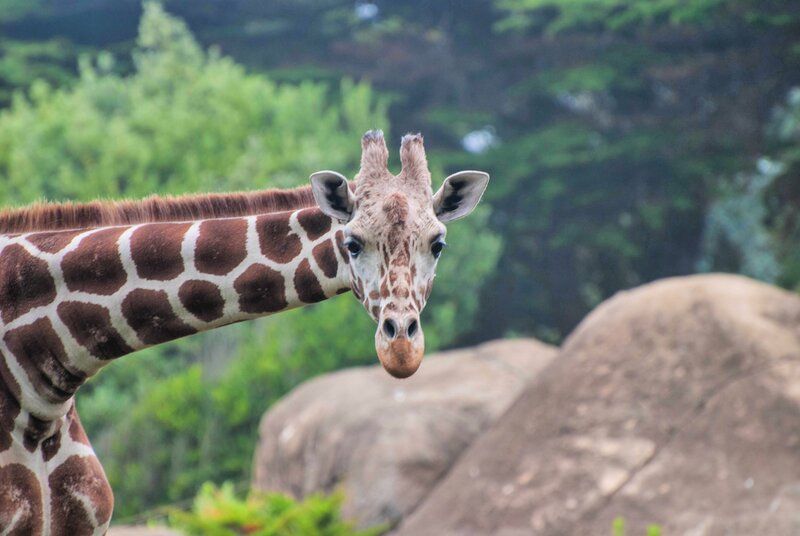 This 100-acre zoo in the southwest corner of San Francisco near Lake Merced is home to more than 2,000 exotic and endangered animals. 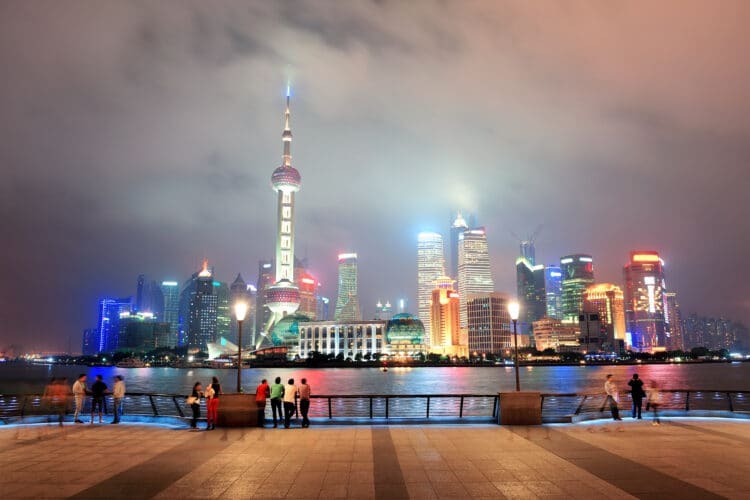 It is open year-round and is one of the most popular family-friendly attractions in the city. On top of the regular exhibits, there are special events, zookeeper talks, guided tours, and a beautiful vintage carousel (one of the few created by famous carousel maker William H. Dentzel that’s still in operation). 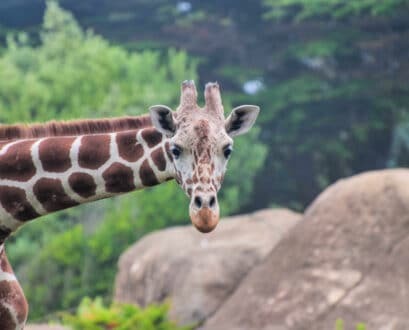 I have written about discounted San Francisco Zoo tickets in the past, and the information at that link can still help you save on tickets. What kid doesn’t love learning while playing? Or what grownup, for that matter? That’s what makes this hands-on museum so cool. There are hundreds of exhibits in six galleries that teach solid science — like what causes earthquakes, the ins and outs of weather patterns, and how electricity works — through fun and engaging interactive experiences. Definitely make reservations for the Tactile Dome, a pitch black half sphere where visitors walk, crawl, and climb through differently textured spaces in total darkness. This bustling waterfront marketplace is a popular attraction for both San Francisco natives and visitors. There’s great shopping, delicious food, a one-of-a-kind 7D indoor roller coaster-type ride, live music, a mirror maze, the Aquarium of the Bay with its awe-inspiring sea tunnels, and the gorgeous San Francisco Carousel. But the biggest draw is the chatty population of sea lions that made Pier 39’s K-dock their home after the 1989 Loma Prieta earthquake. They are cute, boisterous, and so much fun to photograph. Scroll down for information about discounted Pier 39 Attraction Passes. That’s not all there is to do in San Francisco with kids, however. Loads of families take the bus tours I highlight below, and City Sightseeing even offers an Alcatraz combo package. Almost all the things to do in San Francisco in this post can be fun for entire families depending on the ages of kids and their interests. Are you ready to explore the real Fog City? Whether you’ve been dreaming of admiring the murals of the Mission District or you want to find out how Treasure Island became Treasure Island, there is a San Francisco city tour for you. 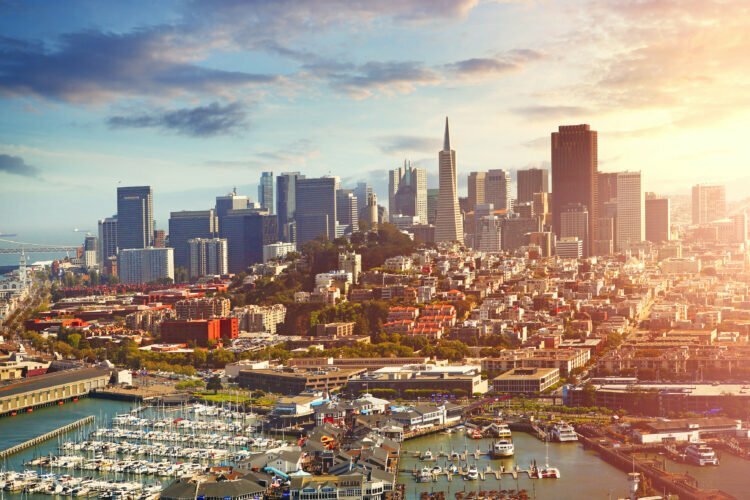 This city really is one of the United States’ most fascinating destinations, and if you want to see as much of it as possible in the shortest amount of time, then definitely check out one of these San Francisco city tours. This San Francisco city tour is all about flexibility. These unlimited hop-on/hop-off tour buses run all day long, 365 days a year, with tours in 10 languages, stops at 20 points of interest around the city, and also gives you the option of joining a free walking tour of San Francisco’s historic neighborhoods as part of your day. This is the San Francisco city tour to choose if you’re looking to check out the parts of Fog City and areas further out most visitors never see. 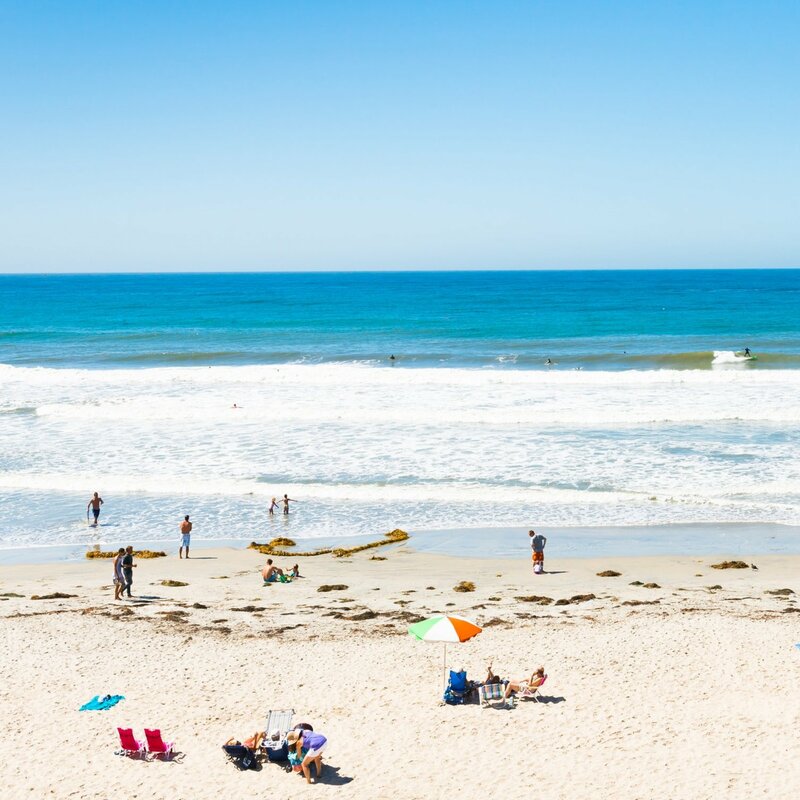 Extranomical Tours may be a smaller company, but they will take you to places far from the center of the city, like Muir Woods, Sausalito, Carmel, and Yosemite. The small group format of their tours feels more like sightseeing with friends than the typical “big tour group” experience, which allows for you to spend less time worrying about crowds and more time focusing on the sights and sounds of the city. Looking for the famous open-top double-decker tour buses you see in major cities around the world? 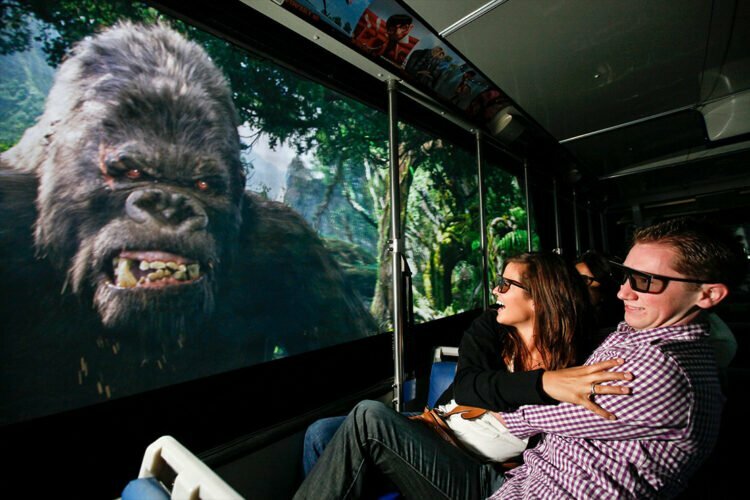 Then look no further than City Sightseeing San Francisco. Their hop-on, hop-off tours of San Francisco include the option to add on discounted tickets to Alcatraz, Sonoma, and top attractions around the city. Even better, City Sightseeing has a real-time bus tracker so you know how long you can stroll around until the next bus passes by. 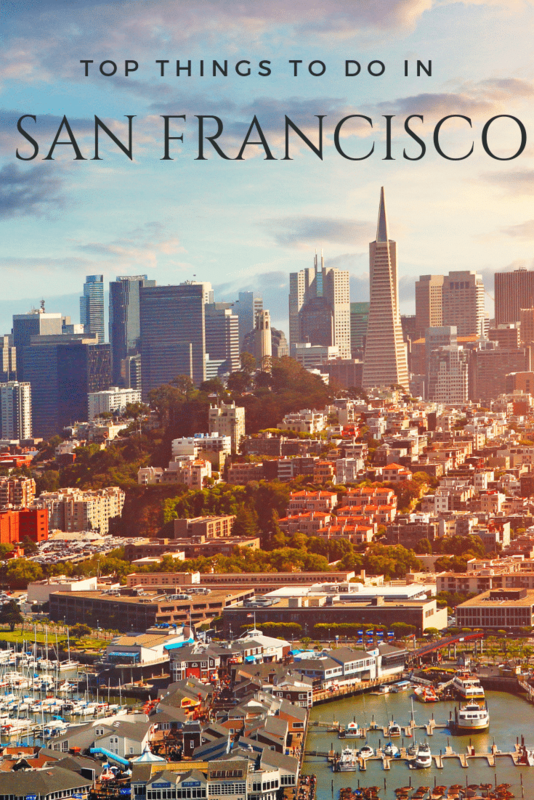 San Francisco is one of the most popular locations where Gray Line offers hop-on/hop-off bus tours and helicopter tours, but you’ll find this company’s tour guides sharing their knowledge all over the world. 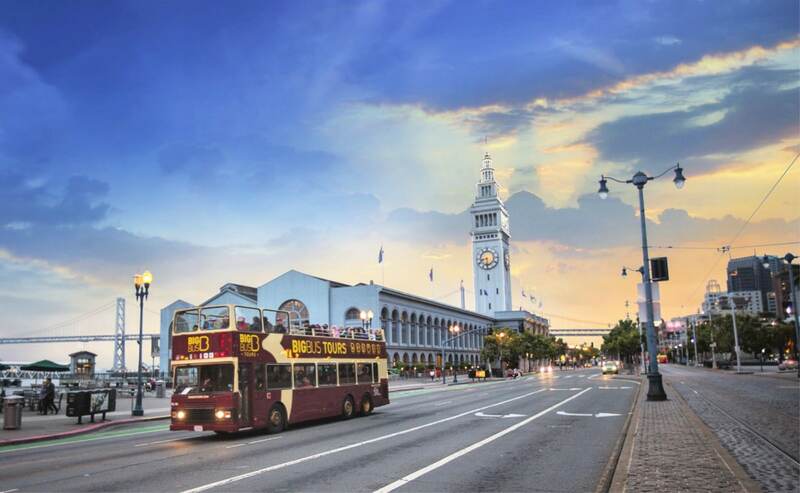 Here in San Francisco, Gray Line’s main tours cover three loops — one traveling over the Golden Gate Bridge to Sausalito, one that loops around the heart of the city, and one night tour that visits Treasure Island, North Beach, and Union Square — but they also offer excursions to Yosemite and Monterey, and a Bay Cruise add-on. Billing itself as San Francisco’s greenest tour company, Incredible Adventures is all about small-group adventures in nature. If you want to see Muir Woods the rustic way, go whitewater rafting on the American River, or tour the vineyards of Napa, definitely check out their tours. That said, they also have a really cool Silicon Valley tour that includes a visit to the Computer History Museum and the Google Campus so you can see the techy side of the San Francisco area, too. San Francisco has some of the best museums in the world, and the exhibits (which range from interactive science displays to modern art) are housed in some of the most beautiful buildings in the world. 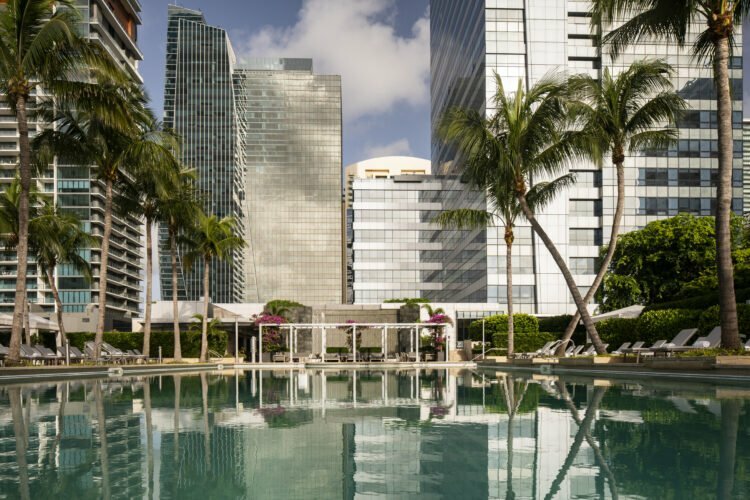 All of them, from the major art museums to the more esoteric galleries like the Gregangelo Museum, are worth a visit, but what follows are some of our favorites. There are lots of fun activities here for both kids and grownups in what is probably the greenest museum in the world. 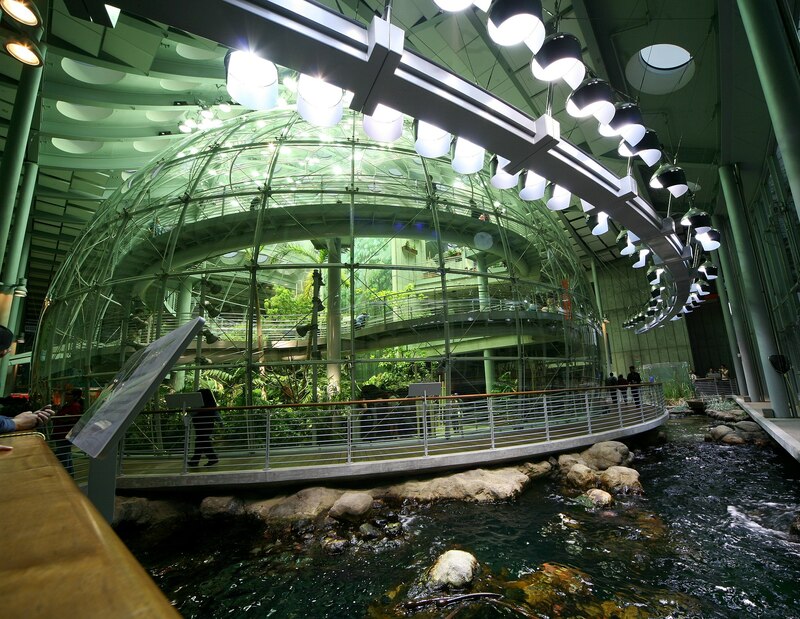 Inside, you’ll find the Steinhart Aquarium, the Morrison Planetarium, a natural history museum, and research facility. You can walk through a rainforest and watch butterflies emerge from cocoons, explore the living roof, peek into the nooks and crannies of the world’s deepest living coral reef display, see live penguins, and learn all about the world’s animals. Plan to spend at least four hours here. This sprawling waterfront aquarium at Pier 39 is home to over 20,000 marine animals, from sharks and rays to river otters and jellyfish. One of the highlights of any visit to Aquarium of the Bay is walking through the wide underwater tunnel, which is like scuba diving without getting wet. There are daily animal encounters, guided tours, and interactive exhibits. There’s even a touch tank where the curious can reach in and touch a live starfish, stingray, or baby shark. Diehard Disney® fans will love visiting this special museum dedicated to the life of Walt Disney, his career, his creations, and the inspiration behind them. Two of the highlights of the tour are the tale of how Snow White and the Seven Dwarfs almost didn’t make it onto the screen and the results of Disney’s project with Spanish surrealist Salvador Dali — which never went anywhere. 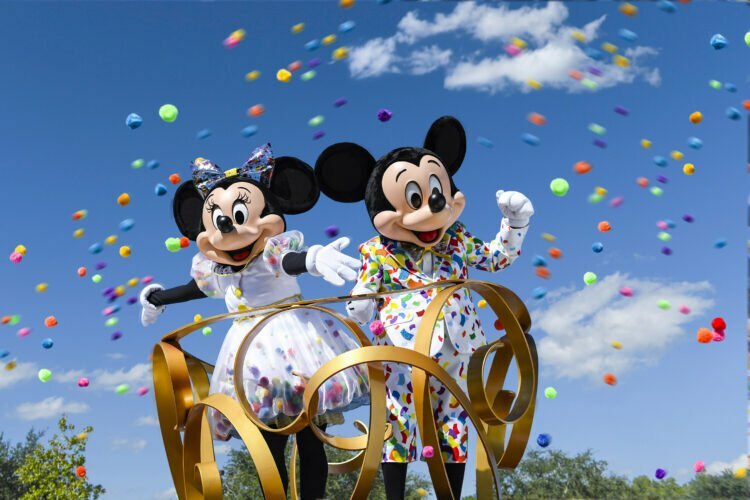 There are regularly rotating exhibits featuring Disney’s early cartoons and music, and lots of opportunities to learn more about how Disney magic comes to life. The Fine Arts Museums of San Francisco, which includes both the de Young in Golden Gate Park and the Legion of Honor in Lincoln Park, is the largest public arts institution in the city. What links these two museums is that all de Young tickets include same-day general admission to the Legion of Honor Museum and vice versa. 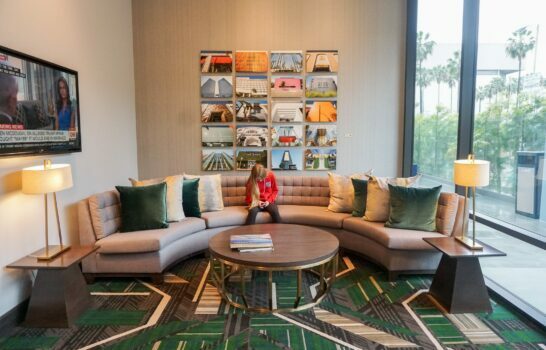 At the de Young Museum, you’ll see modern and contemporary art from around the world, American art from the 17th to 21st centuries (including photography), and global textiles. On display at the Legion of Honor Museum, there are European paintings, decorative arts, and sculpture, as well as ancient art from the Mediterranean and art on paper from around the world. With its bright, expansive galleries and world-class pieces on display, the SFMOMA® can be impressive to the point of being overwhelming. It is the biggest museum in the U.S. devoted to modern and contemporary art and a landmark for art and architecture lovers in the Bay Area. There are pieces by Andy Warhol and Roy Lichtenstein, among other notable artists, though most of the galleries are not organized by artist. Downloading the museum’s app is a must since it provides directions to points of the museum and audio tours (“Immersive Walks” that last for 15-45 minutes) narrated by celebrities and surprising figures. San Francisco is surrounded on three sides by water, which means that no visit to the “City by the Bay” can really be complete without a boat tour. There are lots of them out there — some for history buffs and others for those who want to party. 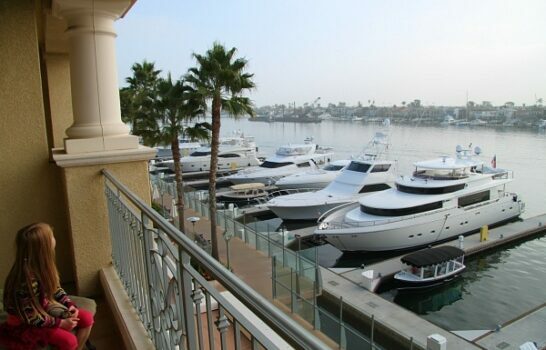 This is the company known for its one-hour Bay Cruise Adventure tour, Escape from the Rock Cruises, and high-intensity RocketBoat rides. The Blue & Gold Fleet is actually made up of 13 vessels that make regular stops in Sausalito, Tiburon, Angel Island, Vallejo, Alameda/Oakland, Harbor Bay, and South San Francisco. They even hit AT&T® Park on game days. On their boat tours, you’ll have sweeping views in every direction, like the PIER 39 sea lions, the historic San Francisco waterfront, and the gorgeous skyline. San Francisco’s original sightseeing adventure tours can take you to some of San Francisco’s biggest landmarks like Pier 43 ½ in Fisherman’s Wharf. 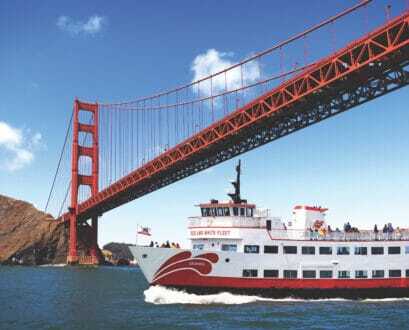 Seeing the Golden Gate Bridge, Angel Island, and Alcatraz Island from the deck of one of the family-owned company’s five signature red and white vessels is a relaxing and fun way to learn more about San Francisco and its history. 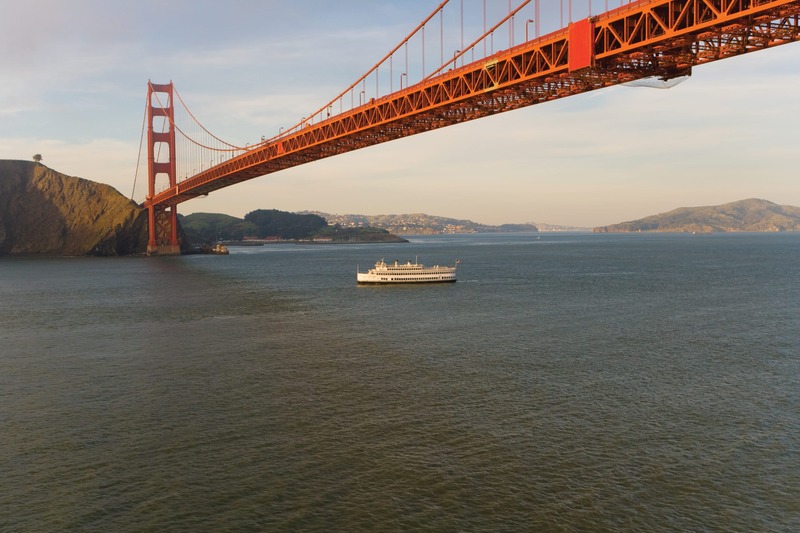 You can see everything the City by the Bay has to offer, including its beautiful skyline, the TransAmerica Pyramid, Coit Tower on Telegraph Hill, the Golden Gate Bridge, and the Bay Bridge on a Hornblower Cruises tour. This is the charter company locals use when they’re planning outings and events, so you can expect more from these tours. 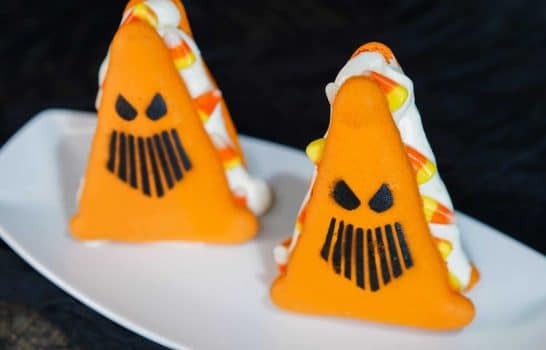 All Hornblower Cruises include onboard entertainment and delicious food and drinks prepared right on board by a talented staff. If you’re looking for a tour that’s more like an evening out on the town, this is the San Francisco boat tour for you. Is it possible to see Fog City and save some money? Absolutely. Don’t pass up on these discounted San Francisco tourist passes. Even locals appreciate the savings and the convenience that these passes offer. Here are the best options. 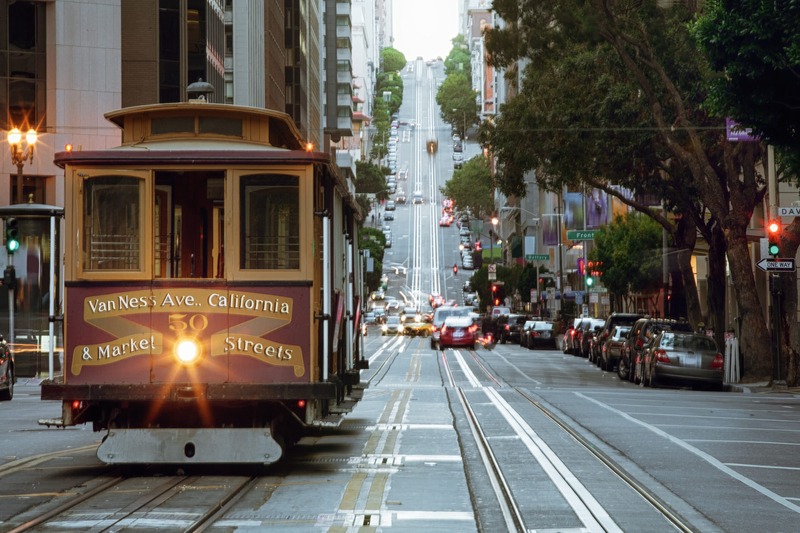 If you’re a fan of the city’s famous cable cars, then this is the San Francisco tourist pass for you. 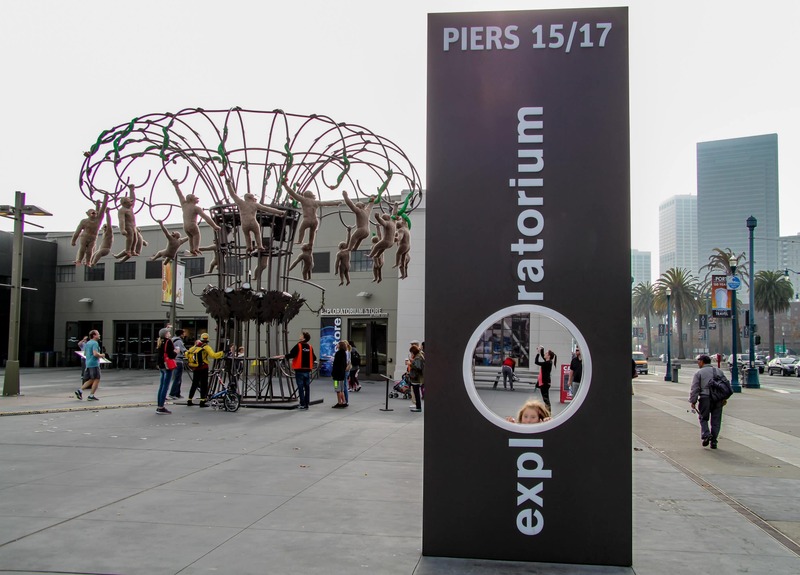 It gives pass holders unlimited cable car rides for seven days plus admission to four top attractions (the California Academy of Sciences, a Blue & Gold Fleet Bay Cruise tour, Aquarium of the Bay, and either the Exploratorium or SFMOMA) for 45% less than the price of the same four tickets purchased one by one. It’s a great deal for anyone who will be visiting San Francisco for at least two days. 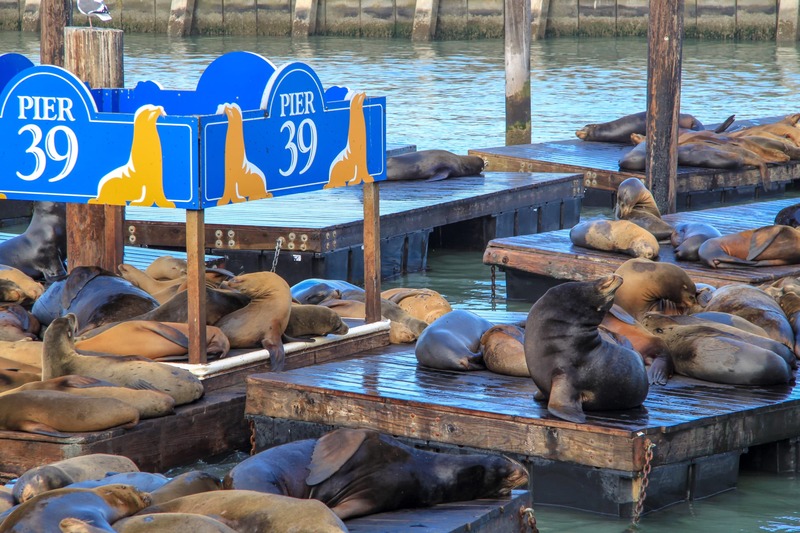 Visiting one of the city’s most popular marketplaces is easier with a 7-day Pier 39 Attraction Pass. Not only does it get pass holders discounts and special offers in more than 100 shops and 12 waterfront restaurants, but also a one-hour San Francisco Bay Cruise or Escape from the Rock Cruise, a ticket for the City Sightseeing double-decker hop-on/hop-off tour bus, and admission to Aquarium of the Bay, the 7D Experience, and Magowan’s Infinite Mirror Maze. It’s the perfect pass to have on hand when you’re enjoying Pier 39’s famous sea lions, talented street performers, and live music. With the Go San Francisco Card in hand, you can save up to 60% on admission to 37 top San Francisco attractions. The benefits of the Go San Francisco Card go beyond savings, however. 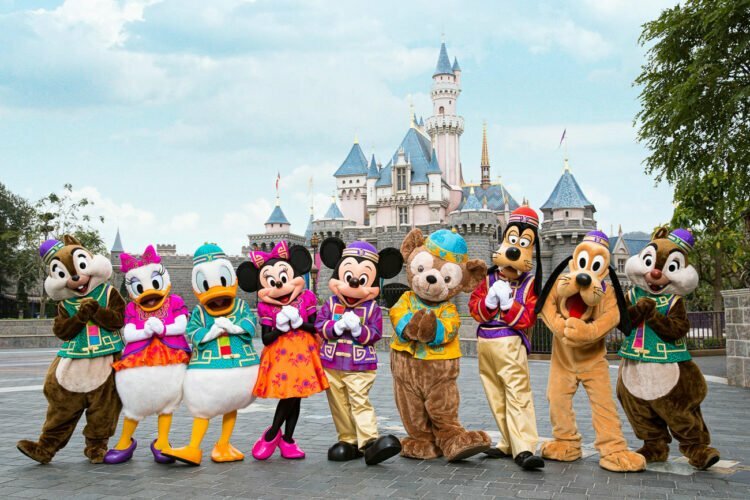 Pass holders typically won’t have to wait in the ticket line, and some attractions even offer priority entry for Go San Francisco Cardholders. Passes are available in 1-, 2-, 3-, and 5-day options to accommodate the different needs of locals and visitors, and you can build your own pass if you’re only planning on visiting a few San Francisco attractions. It really is one of the best ways to save time and money when you’re exploring the city. 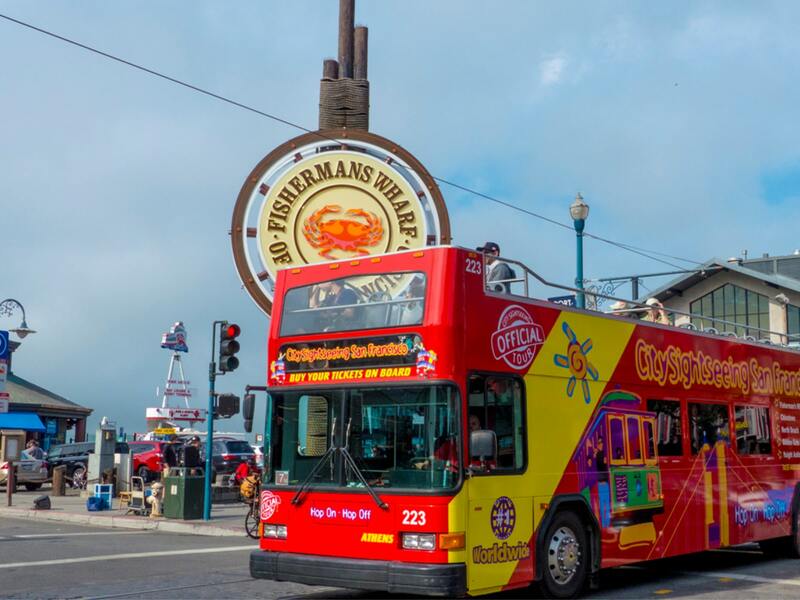 Visiting the world-famous Fisherman’s Wharf should be part of any trip to San Francisco, and you can make the most of your visit with a Wharf Pass. 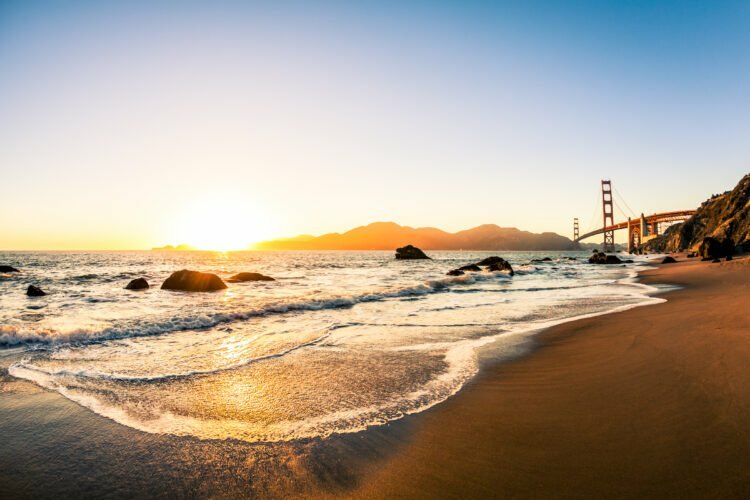 This one-stop ticket gets you into Aquarium of the Bay, Madame Tussauds®, the 7D Experience, and the San Francisco Dungeon, plus a Bay cruise. San Francisco’s beaches aren’t necessarily known for swimming or sunbathing because the water is cold (it’s not called Fog City for nothing!). That said, the rocky, cliffside San Francisco beaches are some of the most beautiful in the world, and the best San Francisco beaches for surfing have some amazing waves. If you’re in San Francisco, visit the beaches for the views – it’s worth it. What are your favorite things to do in San Francisco?